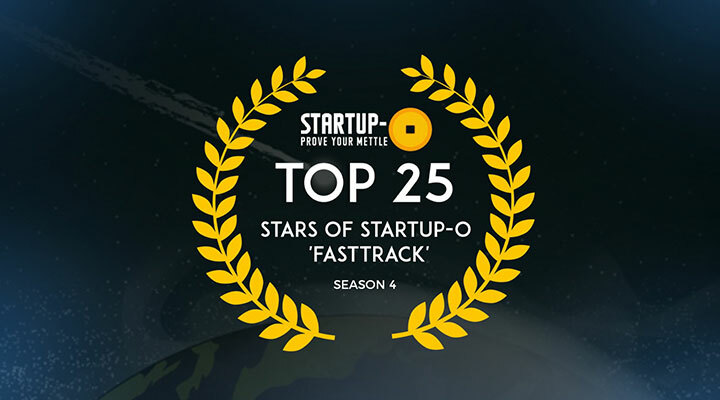 Congratulations to the Top 25 startups from Startup-O ‘Fasttrack’ Season 4. These were shortlisted from 143 startups that registered for this season. 63 startups were taken in to participate from across 11 countries and 10 tech categories. We help healthcare providers burdened by the problems in Radiology by offering an online platform for fast turn-around and digitalised results. 5C Network is working to create a tech-based solution for efficient imaging and report generation backed by AI image processing engine. Thus, this platform provides fast diagnosis with online support for healthcare providers, regardless of their location. Unlike our competition, we are cloud based, offering round the clock support, thereby, allowing for faster diagnosis as well as reliable analysis. Unlike our competitors, we are 53% more cost effective with 10X faster turnaround time. Unlike influencer marketing companies which focus on paid celebrities and bloggers, we focus on real users of a product, who are much more trusted (92% of people trust peer recommendations, according to Nielsen). Unlike our competitors, we are a field-hardened platform for more than 6 years into AI, multi lingual ability in 6 languages (German, Swedish, Danish, Norwegian, Finnish and English). Unlike our competitors, we are white labeled solutions for B2B customers. Unlike our competition, we provide comprehensive end-to-end technology solutions for the entire bus travel industry in Indonesia – not just for the bus passengers, but also for bus operators and travel resellers. Entropik Tech has a vision to create an economy of emotionally intelligent ecosystem. Our flagship product, Affectlab.io, is a behaviour research platform for brands, marketers, media creators to help them predict likely effectiveness of their media, ad and UX before launch, by tracking the emotional responses of their target audience using brainwave mapping & facial coding (patent pending tech). Unlike market survey or qualitative research companies that use Q&A based rating methods, we are technologically superior at 60% lower cost with 5 times faster turn around and qualified ROI impact. Unlike other crowdfunding platform, we offer an end to end logistics system with small starting investment choices. Linksmart smartDNA® labels present a new paradigm in security labeling wherein even identical labels auto-acquire fresh credentials on every use. Upon application on any product packaging, smartDNA® offers unified seamless multi-brand authentication in an instant, precise, automated and effortless manner, with just a smartphone in hand. With credible smartDNA® authentication, warranty activation can be linked wherever applicable. Unlike our competitors, we offer full insider threat protection. We help consumer-focused brands to actively engage with their customers across digital and social platforms by offering a portfolio of MarkTech solutions that brings together artificial intelligence, analytics and automation to ensure an effective customer experience. Thus, we help brands increase their customer base as well as average life time value. Unlike our competition, we offer a full lifecycle from sourcing data to predictive analysis. Parklio is a smartphone controlled parking barrier that protects your parking place. With Parklio, you can easily control and share your parking place with your friends and family via our free mobile application. The Parklio smart parking barrier is made of stainless steel and is equipped with a solar charged Li-ion battery. All you need to do is to install it on your parking place and you are ready to go. Unlike our competition, we have the option of real time parking place reservation. We help parents who want their young children to eat healthier by assisting in planning healthy meals and encourage healthier eating habits. We develop our concept and products using the current scientific and professional nutritional knowledge by working closely with leading dietitians to create healthy solutions for parents and their growing toddlers. Our products and concepts have been test marketed and endorsed by leading figures in the field. Unlike our competition, we are simple, applicable and backed by clinical trials. Unlike ones you find on Google or through your family and friends, we are much more convenient, easier to use, trustworthy, affordable and skilled. SpareParts3D supports the digitalization of your inventory and enables on-demand & distributed production using 3D printing. We leverage on our worldwide providers’ network to ensure local manufacturing and quick delivery. We help home appliance manufacturers to increase the availability of their spare parts by offering a distributed production service on demand which leverages on 3D printing technologies. Unlike our competition, we are able to demonstrate that our parts meet industrial specifications and are produced at a consistent quality over time and across locations. Staydilly helps travelers to book exquisite rooms at heavily discounted prices with an added mystery concept. The hotel’s name would be concealed and would only be made known to the traveler once the booking is confirmed. We are a close-knit community from diverse cultures who have come together with a single objective: to provide exceptional hotels at unbeatable prices. We intend to give the best hotel deals to everyone by making hotel search and the booking process an enjoyable experience. Unlike our competitors, we curate quality deals, at low prices, all while keeping the hotel name mystery. Unlike other fitness solutions, we are subject matter experts who create better intervention through rigourous health research. Unlike our competition, our filters can remove more harmful materials like arsenic, fluoride, and iron efficiently without the use of electricity.